Privalia nos invitó este jueves a Celeste para celebrar el trabajo que realizamos los diseñadores mexicanos y reconocer el trabajo de la comunidad blogger en México. Aquí una lista de los fashion bloggers más influyentes que fueron invitados. El evento es patrocinado por las marcas de Estée Lauder Company - Mac, Clinique, Estée Lauder, Bobby Brown y Lab Series. Pronto haremos un post sobre el evento y compartiremos las fotos. ¡Estén pendientes! 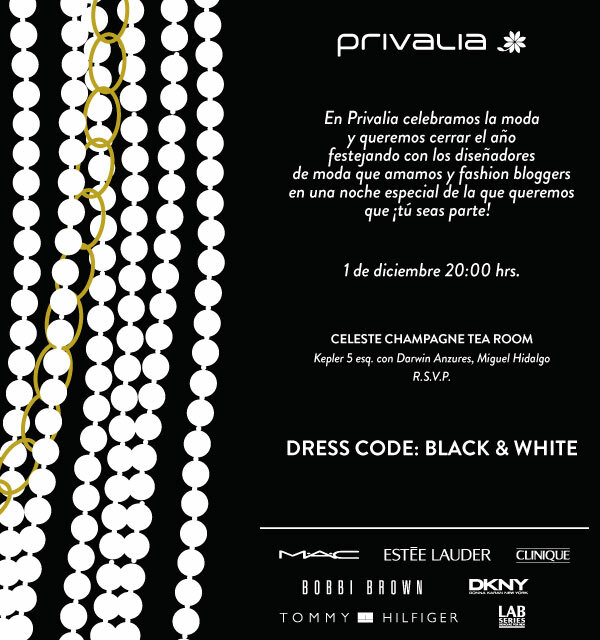 Privalia invited us to Celeste this Thursday to celebrate Mexican designers and recognize the work of the fashion blogger community in Mexico. Here is a list of the most influential fashion bloggers that were invited. The event is sponsored by the Estee Lauder Company brands - Mac, Clinique, Estee Lauder, Bobby Brown and Lab Series. Soon we will post about the event and share photos.Stay tuned!